ALPHA OMEGA Management is thrilled to announce the signing of MONOSCREAM! Comments the band: "GREETINGS! We in Monoscream are beyond proud to announce that we have joined the roster of Alpha Omega Management. We have been searching for a co-operation like this for several years now. And we hope that together we can get the great Monoscream steamroller into major production! Stay tuned for more news from the Monoscream camp coming soon. Long live Metal!" 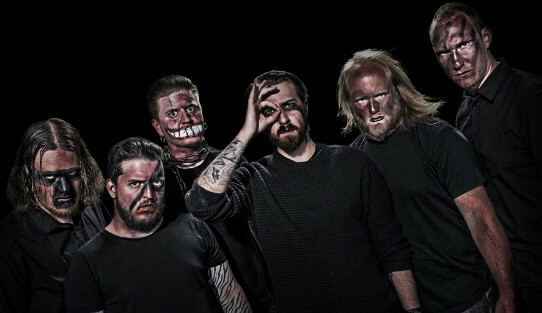 ALPHA OMEGA Management adds: "We're extremely glad to welcome MONOSCREAM to our roster family! These hardworking guys are hungry and ready to go to the next level. Their live shows are delivering some pretty serious metal with right attitude. Keep eyes on MONOSCREAM, they'll come and take what they are looking for!"